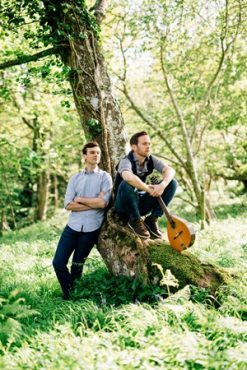 Ninebarrow are a multi-award-winning folk duo, who occupy the middle ground between Simon & Garfunkel and Seth Lakeman. Described by Mike Harding as sounding ‘damn fine’, Jon Whitley and Jay LaBouchardiere combine breath-taking vocal harmonies and melodies, delivering original songs that are inspired and rooted in the landscape and history of the British Isles. ‘In their close harmonies and rural imagery, Ninebarrow occupy the middle ground between Simon & Garfunkel and Seth Lakeman: a place of lyricism, longing and masterly song writing’ Rick Pearson, Evening Standard Music Critic.